Businesses today tend to engage in sophisticated, complex, globalized operations in an acutely competitive environment. Society, meanwhile, is growing steadily more legalistic. A company that strays from the rules may face a barrage of after-the-fact penalties or even stiff public criticism. And in the wake of recent judicial reforms, the legal professions in Japan have expanded considerably, compounding the legalistic trend. 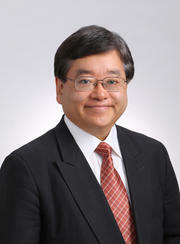 Since Kazuo Miyake founded the firm in1938, Miyake & Partners has specialized in corporate law and maintained a commitment to providing balanced legal services. Our legal mindset rests on two pillars: a long tradition of outstanding expertise in the law and an unwavering dedication to serving ordinary people. These two pillars are inseparable for Miyake & Partners. Our offices must steadily evolve to provide clients with the advanced, complex, international services they rely on amid the current wave of new regulations and obligations. Some of the attorneys in our firm have been trained abroad. All of us take special training in various fields to stay up to date. Our operations are more systematized than most other firms, and our links with other attorneys and professionals outside the legal field are more extensive. Overseas, we are working to deepen and broaden our network of collaborations with law offices in China, Europe, and the US. Inside Japan, we continue to devote part of our professional time to works in the public interest. Our most important partnerships are with our clients. The relationships of mutual trust we share with our clients enable us tailor our solutions to our clients’ unique circumstances and problems. We always aim to be the client's firm -- a firm accessible to the client and worthy of the client’s trust. We value your perspective and your support, and look forward to being of service.